Lancasters was formed in 1991 after it was identified that there was a need for a professional security risk and investigations consultancy, which was client oriented, that provided solutions for the specific needs of government, business and the legal communities. Lancasters strength comes from the experience and skills of its staff, which come from many professional backgrounds including but not limited to law, law enforcement, accountancy, IT, intelligence and military Special Forces. By combining a multi-faceted approach to any problem or issue Lancasters can ensure that the needs of the client are fully understood, evaluated and the correct course of action or provision of assets is implemented. Bulletin Magazine published an expose about investigative issues including the specialised involvement of Lancasters. To read the article click on the image please. 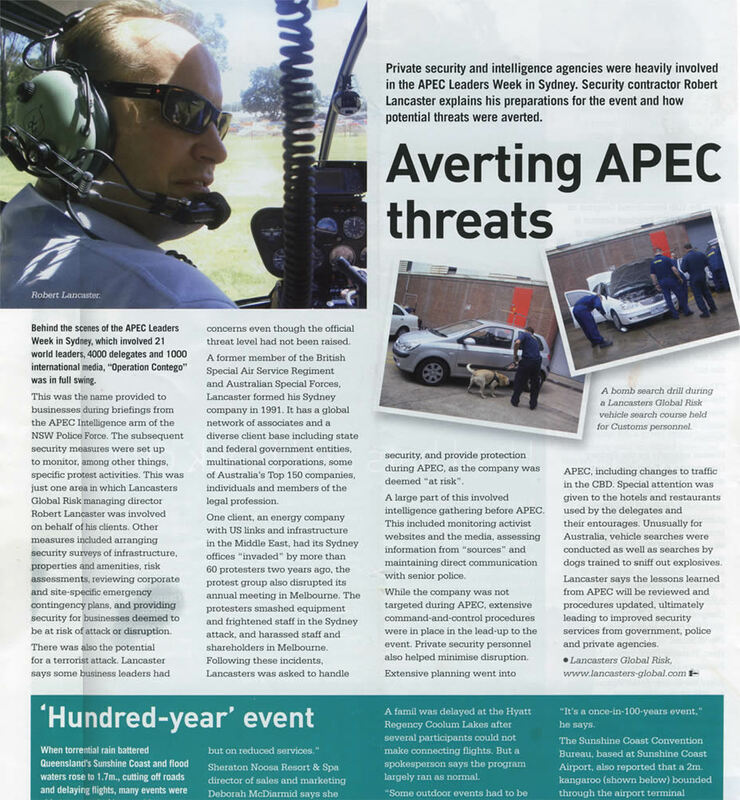 Article about Lancasters Global Risk involvement with APEC, published in the October issue of CIM magazine. To read the article click the images. 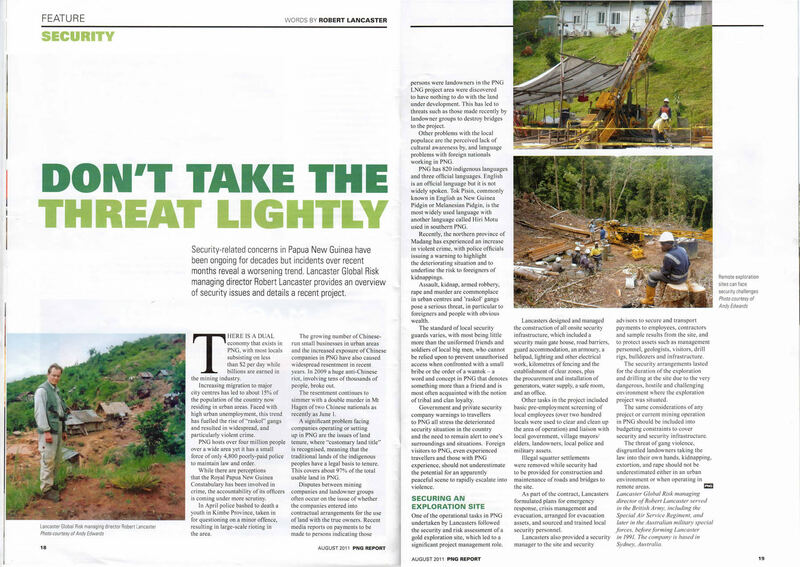 "Don't Take the Threat Lightly" - an article discussing Robert Lancaster's analysis of security threats in PNG projects. Additional articles have been published about and by Robert Lancaster including "Rural Surveillance - Specialised Techniques for Superior Results". Click the image to view it.